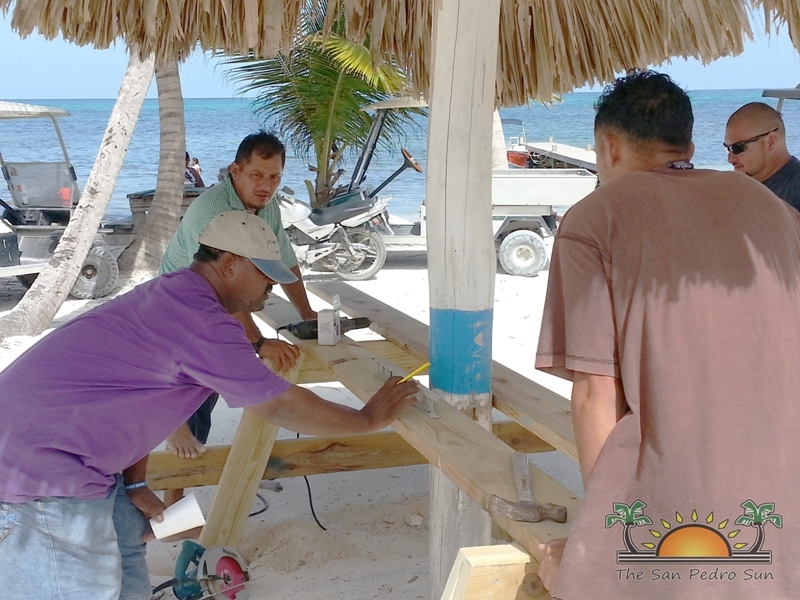 The San Pedro Lions Club on Ambergris Caye, Belize was the recipient of a donation from Lutcher Gramercy Lions Club of Louisiana, USA. 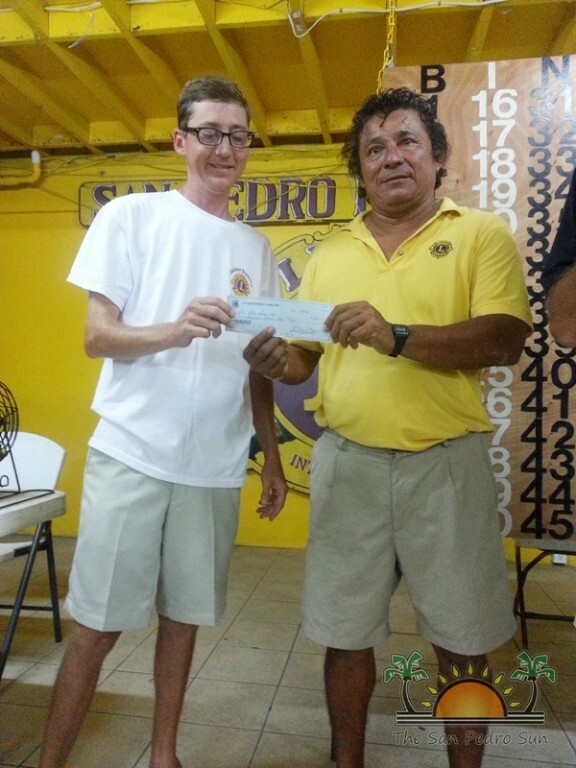 The donation of $1,000 was handed over by Wilbert and David Reynaud to President of the San Pedro Lions Club Rigoberto Kumul on Friday August 1st. The Reynauds are members of the Lutcher Gramercy Lions Club, which is pleased to hear about the work of the San Pedro club and as such is happy to contribute to their causes. “We are happy and much appreciative of the donation. Please assure your club that the monies will be put to good use,” said Kumul in receiving the check. The Reynauds are no stranger to Ambergris Caye as they have been annual visitors to the island for over 20 years. Through the friendship of the Reynauds, the local club has enjoyed a good relationship with the Lutcher Gramercy Lions Club. 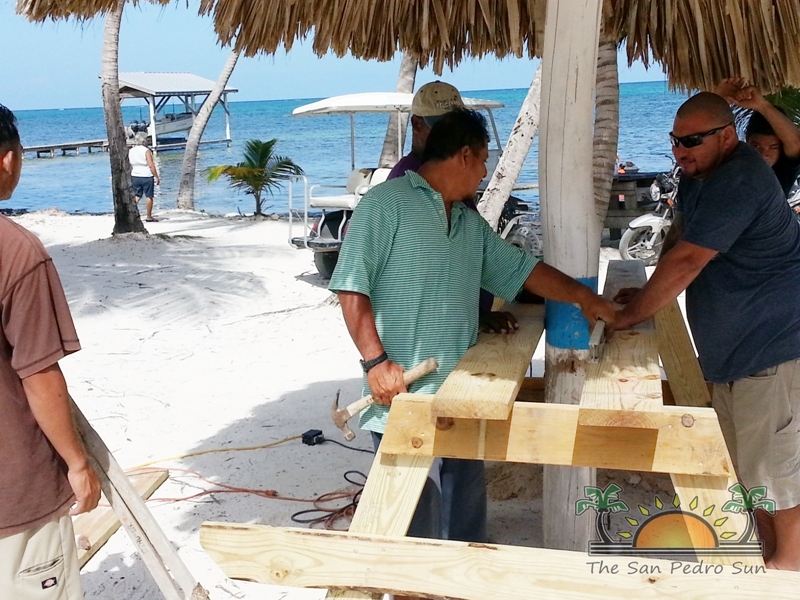 On Sunday August 2nd, the San Pedro Lions Club hosted a work-a-thon at the Lions Mosquito Coast Park. Members of the club, as well as their families, and friends assisted in minor renovations at the park. 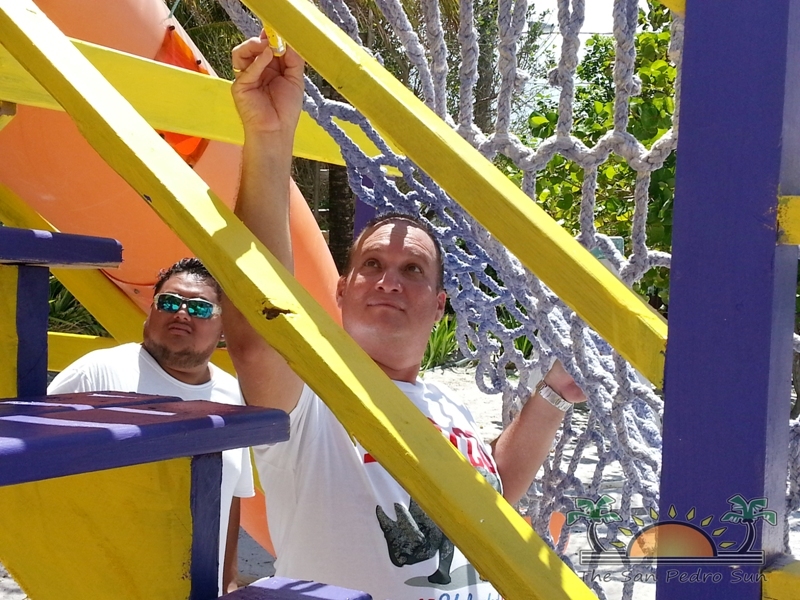 Work included the replacement of picnic tables under the various palapas, the painting of the parks facility and a general clean up. President Kumul would like to thank all Lion members and friends who assisted in the work-a-thon. The San Pedro Lions Club would like to inform the general public that there will be no Friday night bingo during the month of August. The regular Friday night bingo will resume on September 5th. BBQ and chicken ceviche will still be available from midday to 5PM every Fridays. The San Pedro Lions Club apologizes for any inconvenience caused.